Shauna Krantz from Ella and Annie Magazine, is here to share a last minute holiday felt ornament DIY that would look great on your tree and as a cute decoration on all your presents! Making ornaments is a fun and creative way to join in the holiday festivities! This DIY holiday felt ornament tutorial is easy and affordable to create. I'm always looking for new ways I can decorate my daughter's room, so I thought a simple wreath with felt flowers to hang on her wall would be easy and look sweet. 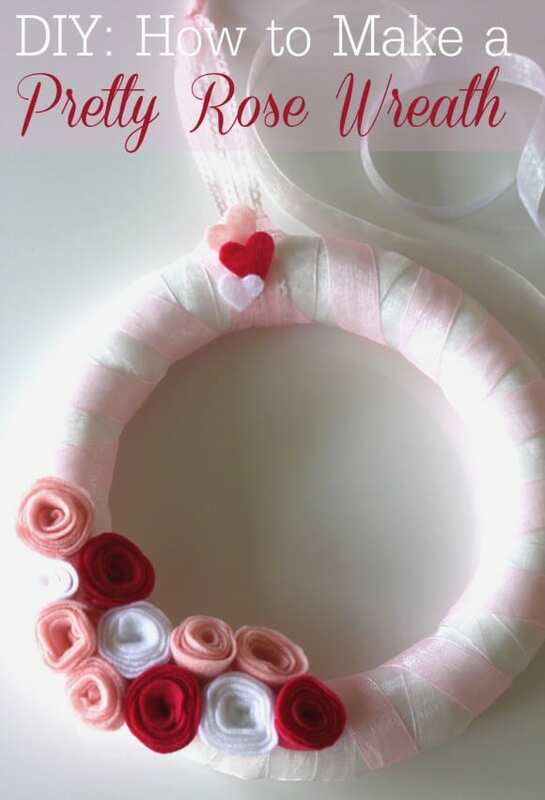 This wreath could also work for a "girly" birthday, baby shower, or even as a Valentine's Day decoration. My friend, Nicole, and the creative mind behind Tikkido and Tradewind Tiaras is one of our newest Catch My Party contributors, welcome Nicole! Nicole is not only a gifted pastry chef, but also makes some of the most inventive crafts. 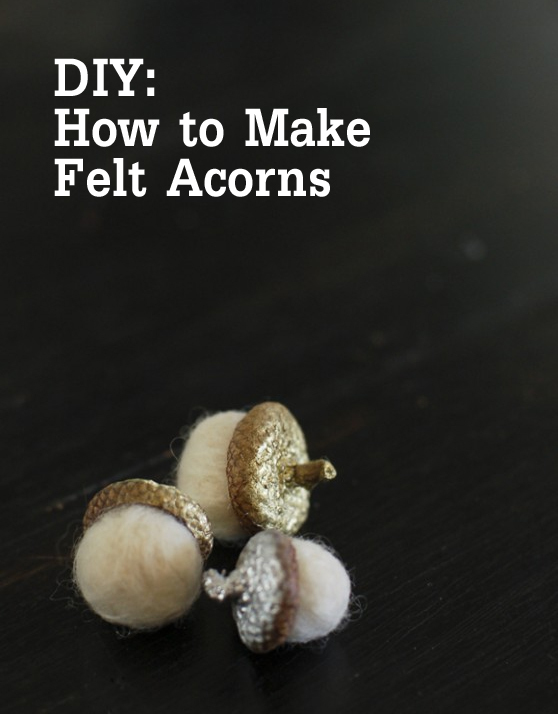 Here she is sharing how she made these beautiful felted acorns that would be perfect for the coming seasons. I've been dying to try needle felting. 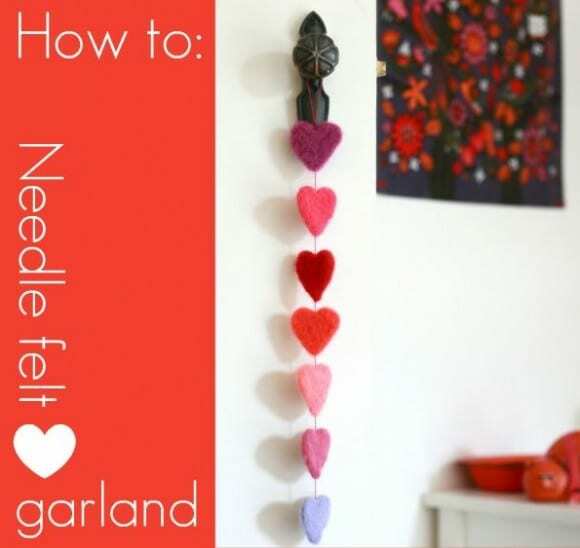 I just saw this needle needle felt heart tutorial from My Poppet and had to share. I'm going to make this for my daughter's room. I think it will look lovely! It might be my project for the long weekend. I love garlands! They are some of my favorite decorations, so when I stumbled upon this felt garland tutorial from Rebekah of Twinkle and Twine, I had to write about it. 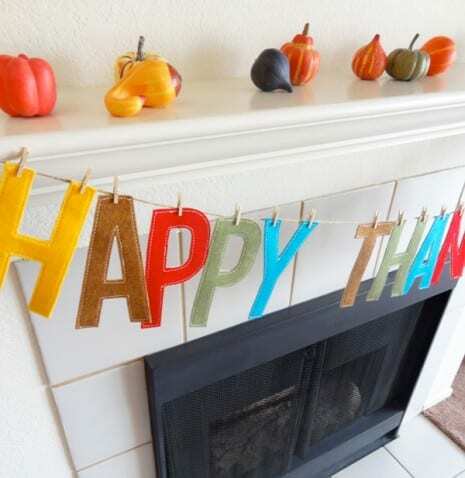 The best thing about this felt letter garland is that there is a "sew" and a "no-sew" version, so for the non-sewers like me, there's no need to feel intimidated. How great would this look on your mantle or even wrapped up as a holiday gift? Jo-Anna from A Pretty Life in the Suburbs makes some beautiful crafts. 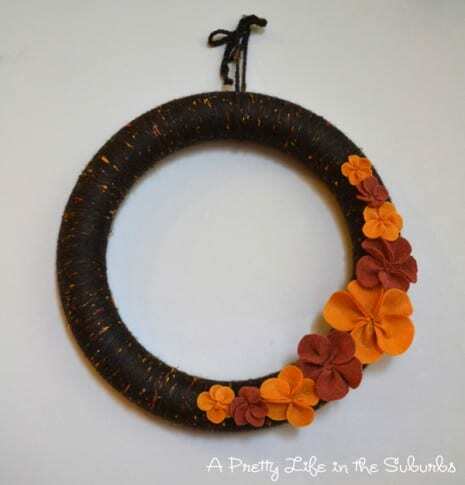 I love this fall wreath she created with chunky yarn, felt, and an old sweater. How wonderful would this look at your Thanksgiving celebration or even decorating your front door. It's so warm and cozy and the little pinwheel flowers are just too sweet. Rainbow themed parties are some of my favorites because of all the decor possibilities. When Wendy B threw her daughter this Rainbow Party, she added so many great touches, including this gorgeous rainbow wreath.